Retire in Panama if you want to experience paradiseÂ when you go about your retirement planning. Many of us dream of going to a foreign land when we retire. Much of what we are looking for is an abundance of sea and sun with endless fun and lots of relaxation. Panama is the paradise you have been dreaming of for your retirement. When you retireÂ toÂ this countryÂ I asure you will get more than what you came for. Panama is just a short plane ride from the US. You can get here in three and a half hours coming from Florida. When you step out of the plane however, you step into a whole new culture with a more laid back, carefree lifestyle. Even if Panama is an entirely different nation, transition to your retirement life here will not be very difficult. English is spoken by most of the people here. Moreover, in Panama there are franchises of almost every major store or food chain from the US. So, if you ever miss being in the US, you can simply stroll down to the local Wal Mart and feel as if you are home again. 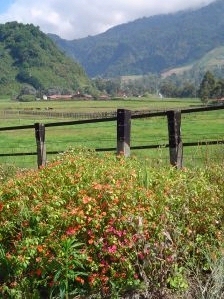 When you retire in Panama you have a choice of living up in the mountains, close to the sea or even right in the city. Wherever you go, you will experience great weather. As for the housing costs, you can get a three-bedroom house for as low as 138,000 USD or a simple house with an oceanic view for as low as 30,000 US Dollars, that is if you choose to live in the mountain areas. However, if you want to live close to the sea, you can get a villa fronting the ocean for as low as 160,000 US Dollars or a beachfront condo for only 77,000 US Dollars. 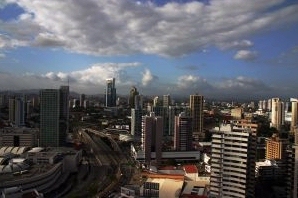 Your retirement income will go a very long way with the affordable housing costs in Panama. You do not even have to pay property taxes for your first 20 years in Panama if you get your own house. The Pensionado Program is another of the reasons why it is smart to retire in Panama. This program entitles those of retirement age to a variety of discounts on all sorts of things, starting from the entertainment, fare, hotel, medicine, consultations and much more. The cost of commodities and utilities here is also very low. Panama is very beautiful. You will enjoy the wildlife in its mountain areas and the tropical waters of both the Pacific and Atlantic oceans. Furthermore, you immerse yourself in a whole new culture. You definitely get more than what you came for when you retire here.